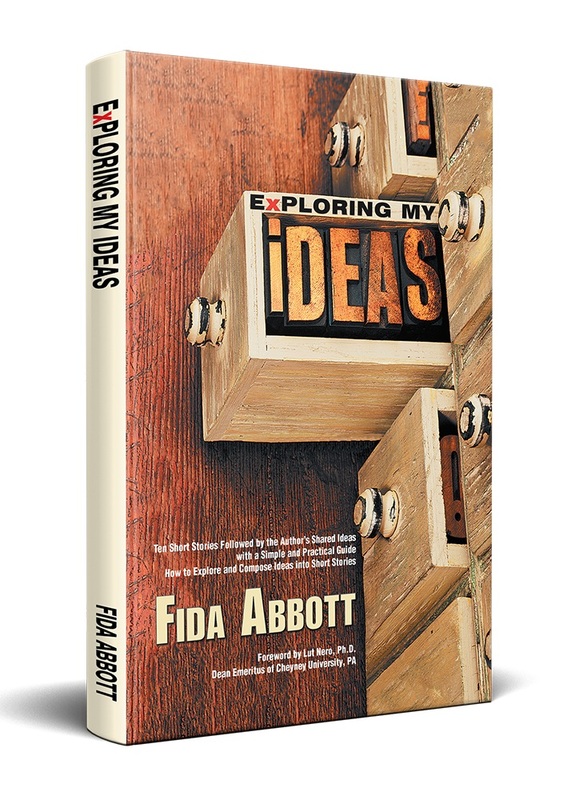 Fida Abbott's Books: Interviewing Author of "Coki" In Series Who Has Read "Enthusiasm"
Interviewing Author of "Coki" In Series Who Has Read "Enthusiasm"
Last month, in February 2013, Abbottsbooks had big celebration. 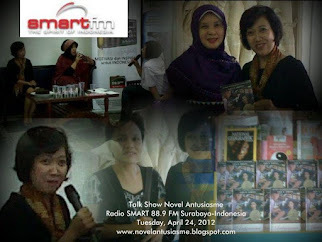 We celebrate one year of Antusiasme (Enthusiasm in Indonesian version) and three years of Enthusiasm by interviewing authors who have read Antusiasme/Enthusiasm. Who are they? 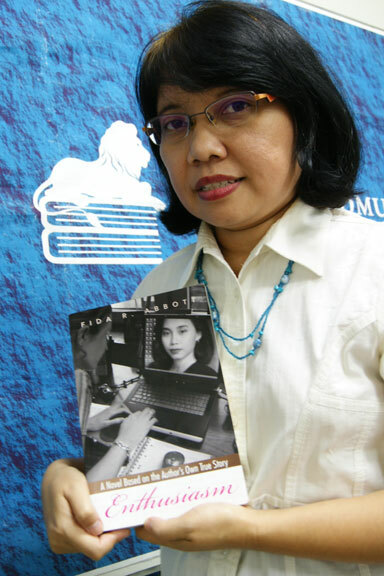 Below is the second exclusive interview with an Indonesian author, Yunita D. Harahap, presented in English version, with her children book in series, Coki. Also you're invited to read other interviews with other Indonesian authors who have read Enthusiasm/Antusiasme at Antusiasme blog. A: Your children book in series, Coki , seems very interesting. Would you tell us the character about Coki and synopsis of three series of this book that have been published? Y: Coki is a loving kind young pigeon carrier who is always curios about everything and dares to take a risk for its fellow sake. Coki has twin siblings named Roko and Riti. Coki’s friends are Tedi Tekukur and Kunyil Kutilang. (Tekukur and Kutilang are typical Indonesian bird which chirping a lot and love to sing) Coki lives at Roda Village, a bird village. Coki, Roko, and Riti, the siblings. By reading Coki’s stories we can see good traits of him as a young pigeon. 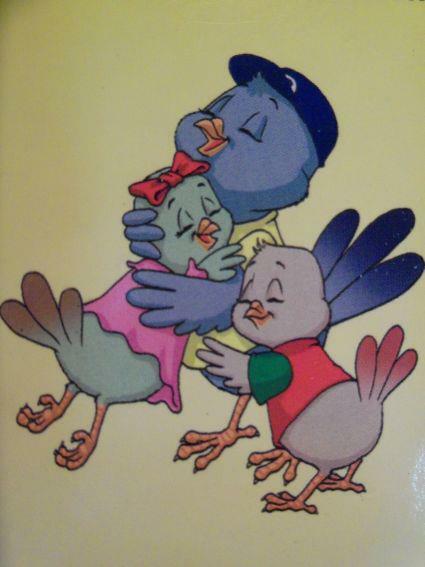 As the main character Coki is not a super bird. He may make mistakes but willing to learn from his mistakes in order to become a better bird. In the first story, in order to help his father who was not well, Coki dared to take a risk delivering an important letter to Professor Burhan (an old big owl bird). In the second story, Coki took another risk to fly far away, looking for a medicinal leaves that would be used to heal Kunyil’s mom. Indeed through this journey Coki learned of his specialties as a carrier pigeon. In the third story, Coki was assigned to deliver an important letter and he learned to be responsible in accomplish his task despite of his friends’ invitation to play. In all of Coki’s stories we can see the nature of children in Coki’s heart. He loves to play and is often tempted to delay his task in order he can play with his friends. A: Why are you interested to choose Coki, a little pigeon rather than other kinds of animals? Y: I intentionally chose a young carrier pigeon not a puppy, a kitten, or any other animals as the main character in Coki’s story, because carrier pigeon is very popular pet among Indonesian children. Whether in big cities, small towns or in villages, Indonesian children love to play with carrier pigeons. Besides in Indonesia we have some customs or beliefs on some certain animals, which bring controversy. For example, there are some groups of people who kill dogs for meal while many other people love dogs and considered it as loving pet. The other example is cat. Even though cat is adorable pet but for some groups of people’s belief cat is mystical animal. The other animal which controversy is pig. Carrier pigeon has a good reputation in animal kingdom. Moreover Indonesian Postal Service uses picture of carrier pigeon as its institution symbol. The decision to pick carrier pigeon as my main character was supported also by Letha Humes, my former teacher. 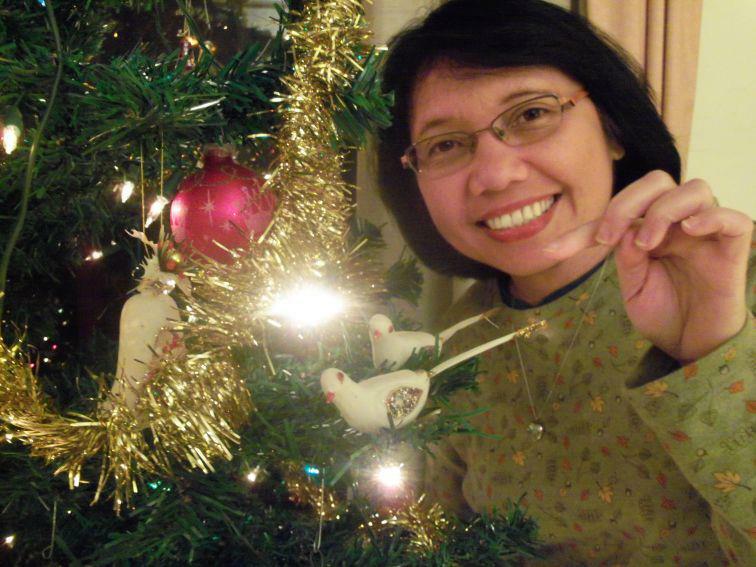 She worked as a publishing consultant and editor in the same office I worked in Jakarta. She greatly encouraged me to get into children’s book writing seriously. My former director, Mr. H.A. 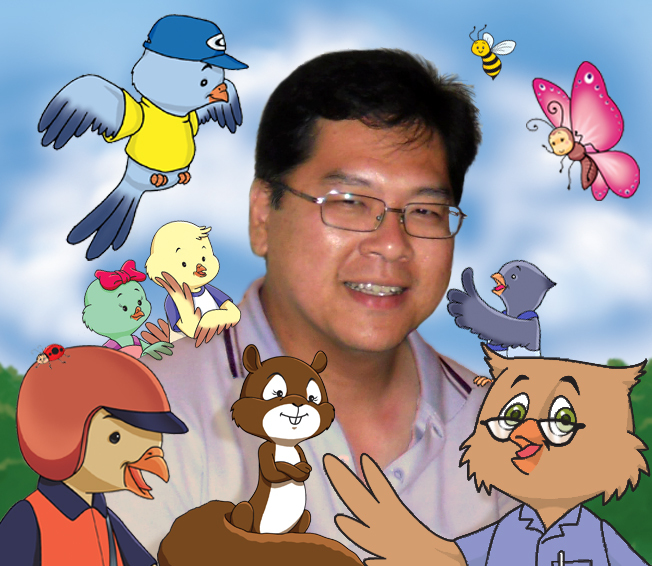 Oppusunggu was also the best supporter for me to get involved in publishing children’s books. A: As an author of children book, how do you get inspirations to write those three books? Y: Inspirations or ideas for my stories usually came as I worked pondering the plot. Since I have notes of the characters and elements for the stories as well as the themes so all of them were blending together in my imagination to develop the stories. I used to manage myself reading information about birds as much as I can, whether from books, magazines, or Internet. This information also gave me insights to the Coki’s plot stories. Sometimes I got ideas or inspiration just by walking at park or surrounding my house, listening to birds’ chirping or examining birds’ actions. As I heard birds busily chirping on trees, my heart was tickled and I wondered, wanted to know what exactly they were “talking” about? Or if I was outside the house and incidentally saw a bird flew fast at the sky above my head, my heart wondering, “What is happening? Why this little buddy flew in hurry? Is there any important message that it wants to pass to its friends?” My imagination and my observation were blended together to develop the stories. Yoseph Jee, illustrator of Coki book in series, an Indonesian who lives in Australia. A: Why do you want to be an author for children book? Y: I am a children’s books lover. I'm always crazy about children’s books and never stop buying them for my collections. It’s because children’s books are like good friends. They always bring comfort, joy, with its simple stories and good teachings. Moreover, most of them have wonderful and delightful illustrations. The characters on children’s books mostly are cute, funny, and lively. That’s why I want to become a writer for children’s books. I want to cheer up and to make children happy with my books/stories, create a character that can be a good friend to my readers, and they may see good traits of that character. Children are innocent, they never take suspicious or doubtful of information they get from the books they read. That is why we are responsible to write good and educated stories for children. And it is important that we will present the stories in simple way and fun. I tend to create a main character with strong good traits such as loving kind; proactive, willing to help others without hesitate, able to solve his problem, and loves his country. Sounds idealist, right? Since I've written stories for Indonesian children, in my opinion, that kind of traits needs to be socialized among Indonesian children in this age. A: What the important keys do you use to make the stories so interesting to be read by children? One of Coki's fans is from USA. Y: In all Coki’s stories I always begin the story with the setting at home, where Coki’s family members were interacting one to another. 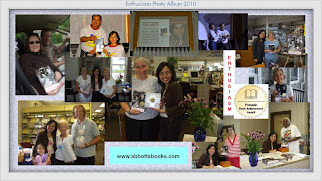 I did it intentionally since I wanted to leave an impression to my readers that family is important in our lives. Children basically love to be surrounded by their families, whether with their parents or just with their siblings. That’s one of the keys in Coki’s stories that will attract the young readers. The other key is to add humor and fun things on the stories because children love to play and have fun. In each series I always add a simple game based on the story so the readers can have fun playing the game as well as enjoying the story. The other important key that make Coki’s stories interesting is its cute illustration. I am so blessed that I met Yoseph Jee, a talented and dedicated illustrator for children’s books. His illustrations are great, cute, and lively. A: How is your participation to introduce your book to children? 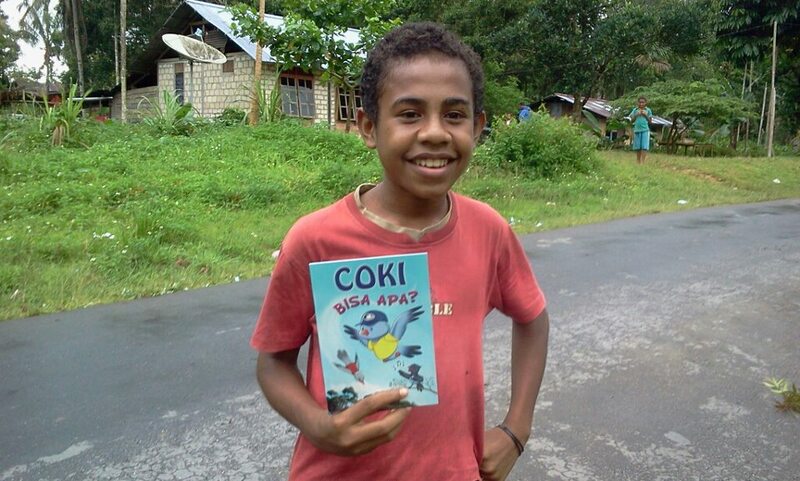 Melkisedhek from Biak was so happy receiving COKI. Y: When I was in Jakarta, I occasionally joined a ministry to an orphanage where we could do storytelling to the kids. I took that chance to introduce Coki to children at the orphanage. I also used to give Coki books to the street kids that I met everyday on the bus I took during office hours. Besides giving them some money to appreciate their songs, I added Coki’s books for free. The kids usually were happy to receive books. They never rejected books. 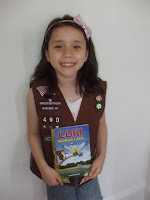 If I heard my friends would go to remote areas in Indonesia islands, I entrusted Coki’s books to my friends so they could bring Coki’s books to that area and gave them away to children there or to school libraries. 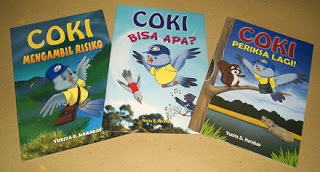 In 2012 when Coki celebrated his 12 years anniversary, I invited Coki’s fans to participate on an event where they could donate books or Coki’s books to libraries in remote areas in Indonesia, or they just simply gave Coki’s books as gifts to children they knew. A: What is your short and long plan as an author/writer? Y: If it's possible I want to write the fifth series of Coki, which the plot is made up already. The fourth manuscript of Coki right now is already in the publisher desk. For the longer plan, in God’s willing I want to learn how to make illustrations for children books. I also want to write novel for teenager/youth. A: Would you tell us how you had a chance to read Enthusiasm? 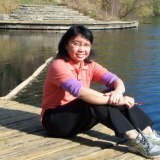 Y: Before I moved to US, a friend of mine who lives in New Zealand introduced me (by e-mail) to Fida Abbott, an Indonesian woman who lives in Pennsylvania. She hoped I might be friend with Fida in United States. 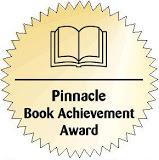 I then learned that she is a writer and her novel entitled Enthusiasm was just got “Pinnacle Book Achievement Award—Spring 2010”. I was interested to read that book. Then my husband (who at that time was my fiancée) sent me that book from US in order I could read it. That was how I met Enthusiasm in person. A: What the impressions do you get from reading Enthusiasm? Y: Enthusiasm or Antusiasme is a novel with a simple plot, straight forward, but contains a strong message about courage to live or enthusiasm about live, which radiant brightly through the life of its main character. This novel is also informative, full of information of how dynamic writing world is, whether in cyberspace or in real life. The book is also showing us how literature brings great impact in our lives. The most interesting thing in this novel, I think, is the main character, the author, who is a very creative person, full of spirit and ideas, and diligent in studying everything surrounding her, in order to develop her intellectual and writing skill. That kind of trait I think needs to be contagious to many people—especially to Indonesian women—so that they will keep enthusiastic about their lives, whether they are acting as housewife or not, or if they feel they don’t have any skills of gifts. A: After reading Enthusiasm, what the things have influenced you in your writing activities and as a writer? Y: Be an enthusiastic person is what a I want to apply in my writing activities. If God has given me the gift of writing, I have to do it diligently. I have to dedicate my time, thoughts and strength for writing. God has a plan for me through this activity. A: From enjoying Enthusiasm, what the most interesting story do you like, and why? Y: I like the description of the author’s simple daily life, especially relating to her plan to start writing a novel. As she loves to write and enjoy teaching people how to write, she felt God wanted her to write a novel and published it in English. She was pretty convinced of this desire, moreover her husband gave her a new laptop to support her writing activity. She set up a small desk at the bedroom next to the bed, so that she could work on her novel anytime. She also disciplined herself to write everyday even though she had to take care her young daughter (who surely needs her attention very much), as well as her husband and her house. In order she would not miss any newest worldwide information and to improve her writing skills, she diligently surfed Internet to support herself. The challenging of using English for her novel didn’t make her give up. On the other hand she kept moving on until then she got support and help from her husband. A: To whom you would like to recommend Enthusiasm, and what is your reason? Y: Firstly, to my friends, writers, so that they can exchange experience with the main character, how to manage gift, skills, time and strength in order they may keep writing creatively. Secondly, to my friends (especially women). I hope they will get new insights from the main character’s experiences—that is if we have enthusiasm in our lives, our gifts, our hobbies, then we will experience a big and positive changing in our ways of life, which gives impact not only to us but also to other people around us. A: Now, we come back to talk about your book. To whom you would like to recommend your book, Coki in series, and where the readers can get them? Y: I am highly recommending Coki’s series to parents or families who have children at home and they've just learned how to read. 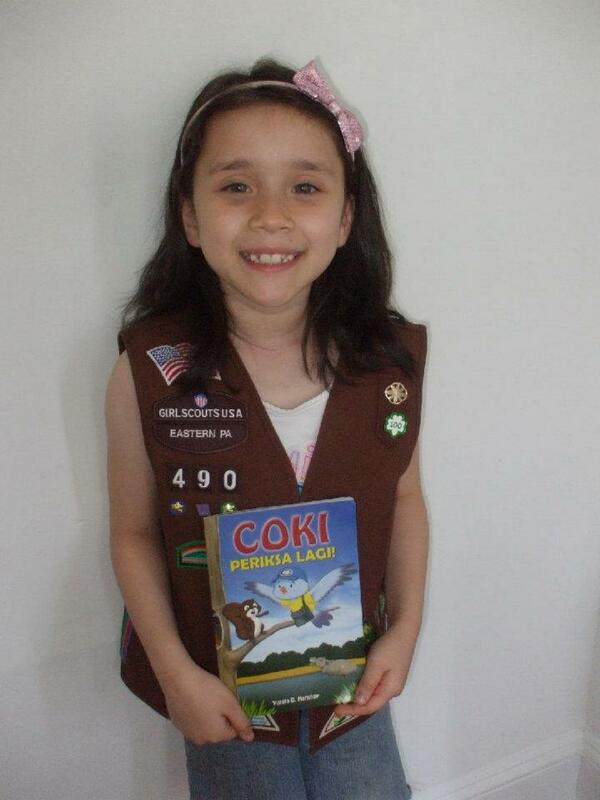 Ideally, Coki’s story is to encourage children who started to learn how to read and want to read more, again and again. I also recommend it to the school librarians to provide Coki’s series at their collections. Coki’s series also can be used as a “Read Aloud” book.